shmups.system11.org • View topic - What's the status of that PSX IO thing? What's the status of that PSX IO thing? Post subject: Re: What's the status of that PSX IO thing? I saw that recently too, but "it honestly isn't that bad" is unacceptable when it comes to a core feature of the PSX's CD audio when it comes to an optical drive emulator. Otherwise it's not a true replacement for CDs. Word is the next firmware update will fix the XA audio filtering. It should be coming out soon. And to clarify: There's nothing wrong with CD audio playback in Bin images. It's the XA audio playback in the PSIO that uses nearest neighbor interpolation as to why it sounds shrill. Of all the systems I own the PS1 is the biggest PITA to get a working laser for. Everything available is a cheap Chinese knock off that you need to rebuild with the old parts to make any good, then they go out of tune super fast. Using a second hand laser is just as bad unless its from a PSONE, those laser are tough as but you need ribbon extensions to fit them to the other PS1. At the beginning of this year, I picked up a replacement optical drive (specifically a KSM-440BAM, what's used in the PSone) on Amazon, which was sold by Totalconsole. I believe it was this company that was selling new-old stock, and they included the ribbon cable extension. Granted, I only used it briefly; but it worked immediately out of the box on an SCPH-5501, and I had zero issues loading games. Unfortunately, while I had paid less than $20 for mine, the price has since shot up to $50 USD. Might still be worth it for some, but I'd rather save my money for a good PlayStation ODE. That's probably why they have the CU2 format conversion tool now for games that use red book audio. All it does is convert the CUE sheet to a simplified and condensed reference text. You can apply the tool to all games and they will work fine, so you don't have to worry about figuring out which games need the conversion and which don't. That audio problem is pretty bad. I should be surprised an issue like that is being downplayed but audio sure doens't get much respect in the retro gaming world. I'm still excited for the PSIO to arrive. Hopefully this issue becomes more well known. I've had the thing preordered for a year and didn't know it was that bad. Mine finally came in yesterday. Haven't had a chance to fully populate my SD card but the few things I put on there work like a dream. I tested out King's Field III Pilot Style just to experience something I otherwise would have never gotten to play on original hardware. Also played a couple stages of Gradius Gaiden just to see something normally region locked working. It feels alot slicker than what I gathered from the YouTube vids. My only nitpicks are the way the PSIO sits in the I/O port without being braced somehow, which feels like it could be damaged if you apply too much pressure when inserting your SD card. Be careful! The other thing is that there's no reset-to-menu key combo that I'm aware of so you've gotta press reset on the console when you wanna swap games. No biggy. Overall I'm very satisfied. I left Silent Hill running it's attract mode for over an hour while I was working at my desk & it never hung or crashed. Won't have alot of time to game for awhile but it's great to know I won't have to touch my collection or worry about the laser. I've always been curious about the Deception series so I might try that soon. It feels alot slicker than what I gathered from the YouTube vids. My only nitpicks are the way the PSIO sits in the I/O port without being braced somehow, which feels like it could be damaged if you apply too much pressure when inserting your SD card. Be careful! This was a nitpick I also had. Alarmingly this is after they changed the design to fit more snugly. Normally I wouldn't care, except in order to swap disc images like on say FF7, you have to physically remove and then re-insert the SC card. So you need to hold the PSIO in place with one hand and eject the card with the other just to play it safe. Wait, really? That's the disc change procedure? And they didn't think to include thumb screws to secure it to the console? WTF? Yeah they can't do in-game triggers, so you have to remove and re-insert the SD card to swap disc images. Some sort of screws would have been nice, I agree. There's a place on the port for them even. So what's the trick to getting BIN/CUE games to work on this? Also won't load the one single PAL game I have (Extreme Ghostbusters), even when I set the region to PAL. Freezes with the PSIO logo loading bar at around 70%. This is the same bin/cue I burned to disc and the same exact PS1 plays it just fine on CD. I've also already (installed the chip a couple hours ago so only used it tonight) had the system boot-up and have to re-do the initial setup for some reason...didn't touch a thing. **EDIT** Just tried that PAL game again - it resets after that one for some reason. I'm sure you're not exceeding the 60 character limit, so it might be something else. Are all the extensions matched and listed? I also recall the formatting of the text files must be retained perfectly, at least for multidisc LST files, so it might be the same deal for the CUE sheets: Windows format, ANSI encoding. But really I would check to make sure extensions are matched and not missing. Those are about the only two things I can think of. Pretty short file names. No (even remotely) special characters. It's literally a copy and paste of the folder which works, then I add "copy" to the end of the folder, the bin and cue files, and the text of the filename listed inside of the .cue file. I have 30+ ReDump files which use a period (for things like "v1.1") which I have to change the filename and don't know how that will work. I'll reformat the SD card, and update the firmware (again - it made me do it right out of the box), and I just finished re-downloading all the bin/cue files (I didn't save the originals with their original file names before I went on a re-naming spree). I even checked a bunch of the ones I tested on their compatibility list, and made sure they don't need the special CU2 file made...and the majority was fine (which regardless makes no sense if the original-named folder and files play just fine...). I wonder if a NC button on the SD card power supply would do the same as a reinsert, or do you need to have 2 different SD cards with separate iso?. Send me the files (not the big BIN ones, but the cue files) and I'll test on my end to see what's going on. Lets try FF7 USA as a test. Send me the original and your renamed file, and I'll rename the BIN to match it to see if I get the same issue. Again though, it might be formatting defaults in your text editor causing the problem. When you save the newly named file, if it doesn't have the same format encoding as the original, this has been known to cause the PSIO to freeze. Again though, it might be formatting defaults in your text editor causing the problem. When you save the newly named file, if it doesn't have the same format encoding as the original, this has been known to cause the PSIO to freeze. Thanks. Let me try this on my Mame (Windows 10) PC first. I tried this on a Mac before, using TextEdit which doesn't add any characters - on the PC I'll use Dreamweaver just in case. I'll also scrub any of the hidden files my Mac likes to add, again, just in case (trying to cover all bases here!). I wouldn't think it would come into play, but Mac and Linux use different special characters for newlines whenever you hit enter. It's an encoding difference but it can definitely cause problems in edge cases. The systems manual doesn't specify if you need linux/windows/mac line endings. I have windows line endings (CRLF) in my cue/lst files, everything is working. AFAIK most text editors aren't going to show you line ending bytes by default, TextEdit doesn't for me, you can see them in notepad++ by showing all symbols. I'm not even 100% sure if you need .cue files at all to be honest, i think the bin and cu2 are enough. Just a tip, try out Visual Studio Code on Mac to edit these files as it's a very powerful text editor with lots of features for programmers as well. Just as an experiment, I downloaded a redump of FFVII, then I changed the titles for all 3 disc images, cue sheets, the reference title in the cue sheets, and made a MULTIDISC.LST file all using notepad++. It worked flawlessly. So yeah, formatting of the text files is critical when setting up custom titles for the PSIO. I got mine to work, finally. Basically by trial and error and redoing EVERYTHING, multiple times. I did all the work on my actual Windows 10 computer, using Notepad+++ (which fyi, the older cue files I did on my Mac did NOT have any weird characters on them). Formatting the memory card (switched cards as well), downloading new files, trying different versions rips (v1.1 or 1.0 or 1.3 or whatever until one worked), got it in order somehow. 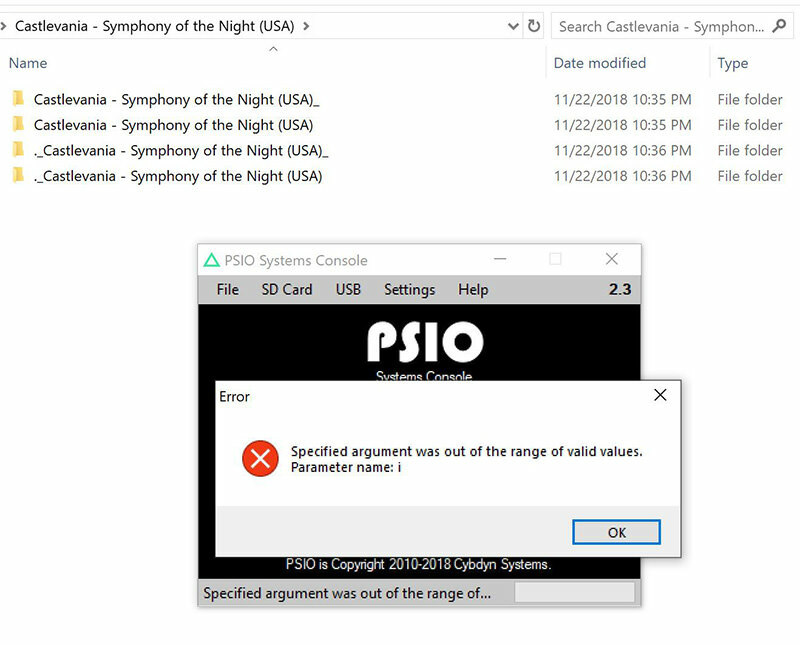 Had a bunch of fun trying to get PSIO's Systems Console software to actually merge games which had multiple bin files - that was a fun 3-4 hours...basically just keep restarting the program until it actually works - and make sure to move the files to the C: drive (they did NOT like my 260mb/sec external SSD). 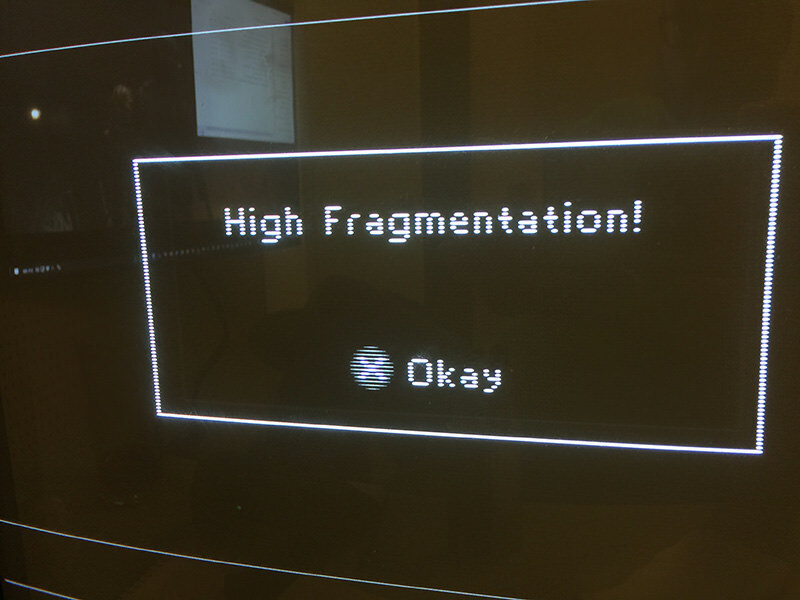 Also had a bunch of known-working (on RP3, Retroarch on PC and Mac, and on my Sony PSP and Vita) images give me "High Fragmentation" errors (on a freshly formatted memory card, AND on a second brand spanking new SD card). Again, just downloaded different versions until one worked - seems to be no rhyme or reason I can figure out. Also kept having the system reset and had to redo the initial setup a good 8-9 times - mostly after a game froze on the menu. So all in all, to get 86 games prepped for the PSIO, it probably took me a good 12 hours or so over a couple nights. Now that I know what's involved better it would probably take me only a couple hours, but still a pain. I was seriously questioning if I did a part of the internal mod incorrectly to have all these problems since that was the hardest mod I've done to date (just SO TINY parts to solder to, and super small traces to cut I couldn't even really see through a magnifying glass even). On the positive side though, I haven't experienced any sound being messed up like people have mentioned (and I'm using an ancient, but nice, Bose Acoustimass stereo system). I think games are running a bit faster too - I played through about 20 minutes of the inverted castle in Castlevania SoTN and didn't notice the type of massive slow-down that usually has when I'm running it on a regular disc (could have been the part of the castle I was in though - couldn't find an area with like ~10 monsters on-screen at once which is when it usually gets unbearably slow). Question: I did find a small handful of games where I had to change the EXTDSP Mode from the default K1V3, to off, to get a game to load. Is there a way to save this setting so I don't have to do it every time? I named the end of the file so I remember to do this upon launching, but was wondering. I also have to learn how to add multi-disc games together in the same folder with the MULTIDISC.LST properly (besides the FF's, think theres only maybe 2-3 from my collection which have multiple discs - currently just loaded up the first disc of those). And have to research how to add game art, and I think there was an option for a background image too maybe? I've done all that on mine. Cover art, background art, and multidisc files. You'll find it's easy to do the cover art and background art. The multidisc files are a little more finicky though in that again, the format of the text file is critical for it to work without freezing up the PSIO. What do you mean 'weird' characters? I don't really know if TextEdit in OSX can show special characters, but notepad++ has a setting to show all special characters, line endings, white space, etc. (they are still there whether or not they are being shown). Windows line endings should show as CRLF bytes and *nix should show as LF bytes (I think OSX is just CR? I don't really remember). Notepad++ also has convenient functions to convert between the various line endings. I see this is selling on Stone Age Gamer. Any estimate on the XA audio fix? A list of games affected? Also, can you still use your disc drive, without any of the audio problems, for the games that are affected? I'm thinking about getting it, if it will actually be sorted out. And if it's just a couple of games that are affected, in my collection, I'll just use the discs. Already been fixed in the current firmware. You can still use disc games. That's what the controller mod is for. But again, audio is fixed now. Well, hot damn. I was watching your review on it, and that was a really big sticking factor. Glad to hear it. Just to double check, this won't affect performance of the physical discs? So I spent a good chunk of the past few days setting up a big set of games on SD cards for the PSIO using the Systems Console software and a good bit of manual editing of file names and file names in cue files. The main issue for me was name length, since I was setting up a large chunk of the NTSC-J set, and a lot of those games have really long names. Also a lot of redump games are multi-bin dumps so they will need merging. 1) Besides turning off auto-detection of the PSIO cartridge, turn off auto-backup for batch conversion to save a lot of time (just keep zipped copies as your own backup). 2) Put all bins and cues for all games in the same folder, and run batch conversion for that folder. This will merge multi-bin files AND replace cue with cu2 files for all games, so you won't ever have to worry about CDDA issues on any game. It will also create Multidisc list files for all multi-disc games. Everything will be moved to its own folder the way the PSIO likes it, so you'll just need to copy everything to the root of the SD card and you're done. This batch conversion usually works great, but you the Systems Console will stop if either a) one of the games has a file name that it doesn't like (usually too long, sometimes the bracketed game code is the problem), or b) the file names indicated in the cue file differ from the bin file names (this is the case even in some Redump set games). For a), I just placed all bins/cues that had long enough names (you'll get a sense of the limit soon enough) in a separate folder, and then ran batch conversion again for all long-name files and usually, for some reason, the Systems Console processed them without issue while shortening their name files. For b), when the Systems Console asks if you want to manually locate the bin file, it seems better to say no and just manually edit the cue file and bin/cue file names and then run batch conversion again. The batch conversion seems to fail once in a while, so it's always good to double-check your folders to make sure that all bins were merged. In this way setting up a large set is not too bad. I also found that the default exFAT formatting of SD cards on a Mac works well. I have not seen any block size or fragmentation errors this way, though I did all file copying to the SD card should be done on Windows to avoid those annoying ._ files (though the PSIO is now set up to ignore those). Last edited by fernan1234 on Tue Dec 11, 2018 4:55 pm, edited 1 time in total. Apologies if this has been asked before, but is it possible to patch a PS1 game to force 240p? For example, patching Dino Crisis so the menus are 240p instead of 480i, thereby eliminating resolution switches and making the game actually playable. That would make PS-IO really attractive to me. While I have not tried that specifically, if it works on real hardware, it will more than likely work on the PSIO. For example: I have an English-patched Tobal 2 and it works just fine. It does not mess with performance on physical discs. That is entirely up to how functional your PSX laser is. I ordered this, and have it set up for modding. I'll update when I have some hands on with it.